Looking for plants that are deer resistant for your garden or landscaping? Barberry shows up on most listings. It is used widely as landscape material, due in part to its resistance to deer browsing. And its true, unless absolutely necessary– deer will avoid eating barberry, though in Ann Arbor there have been reports of hungry deer eating it. Not only in cultivated plantings and gardens– we find barberry in forests, wildlands and parks. And we are finding that where deer numbers are high, that the tastier, native species are being replaced by barberry. More disturbing, however, is that we are finding that planting Japanese barberry, or any other kind of barberry, is not an ideal. from University of Connecticut DigitalCommons@UConn Master’s Theses, University of Connecticut Graduate School, 8-12-2014, Trophic Cascade Effects of Deer Overabundance on Connecticut’s Native Vegetation and Small Mammal Populations. “Deer eat everything but barberry, and because they don’t eat barberry, they’re weeding out forests. They’re helping promote the invasive species,” explains Jeff Ward, chief scientist for the Department of Forestry and Horticulture at the Connecticut Agricultural Experiment Station (CAES). Japanese barberry is an especially troublesome invasive plant. It upsets the natural flow of ecosystems by making it difficult for indigenous species to thrive in their native environment. Japanese barberry houses deer ticks which can carry Lyme disease. Lyme disease is a large issue in the Northeastern United States. Additionally the Japanese barberry encourages the development of the red wiggler worm, another invasive creature. The Japanese barberry deprives native plants of nutrients, thus killing them. The dead vegetation becomes leaf litter, which red wigglers consume. These creatures are relentlessly ravenous; thus, they eat the duff layer which typically provides a home for tiny forest-dwelling animals. 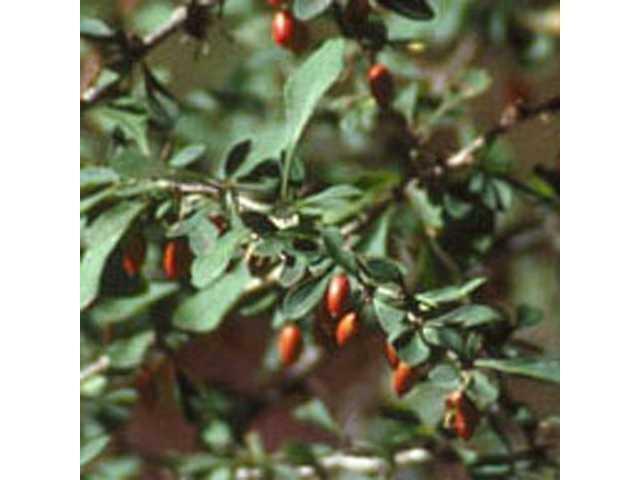 Barberry stunts the growth of local trees because it lowers the pH of the soil around the plant.